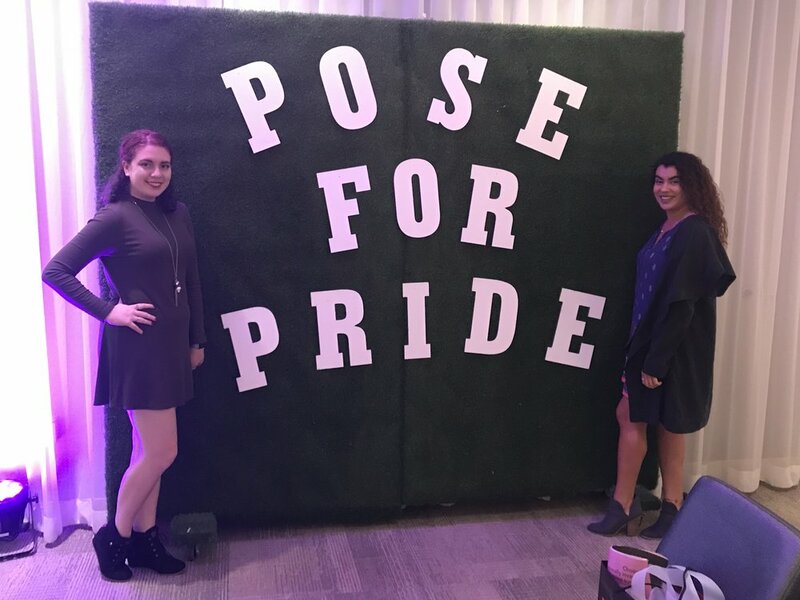 Last night, I attended the second annual Pose for Pride Music and Fashion Show at Aloft Orlando Downtown, hosted by iHeart Radio and Pride Radio Orlando. Words cannot describe how much fun I had attending it! It was also my first time getting to see drag queens and, wow, my life has changed. I brought my good friend from high school, Maya, along with me to enjoy this event. We were invited to sit in the Metro PCS bloggers lounge where we had a great view of all the amazing fashion styles. The Zebra Coalition was also a sponsor of the event. If you don't know who they are or what they do, check out their website. They support LGBT+ facing homelessness, bullying, isolation from their families, and physical, sexual and drug abuse with individualized programs to guide them to recovery and stability. Such an amazing organization and I'm going to be cleaning out my closet this weekend to donate clothes and help these kids out. One of my absolute favorite fashion lines from the event last night was from Threads and Thrum Hair Salon and Boutique. Everything from the line was so fashionable and fun! And, they are pretty close to me, so this is one small business that will be getting my support. Honestly, I was beyond impressed with the entire event. It was such an amazing night! I am so proud to call Orlando my home and I loved seeing everyone come together to support the community. I will definitely be going to the third annual Pose for Pride Music and Fashion Show!